Star Dance Tour – Autumn Dance Classic: Time to Vote Again! You can still watch the livestream of course and see some great dancing. We’ll get ’em next time! It’s that time again! Teacher and his pro partner are competing in another leg of the Star Dance Tour tomorrow, Friday, October 14. 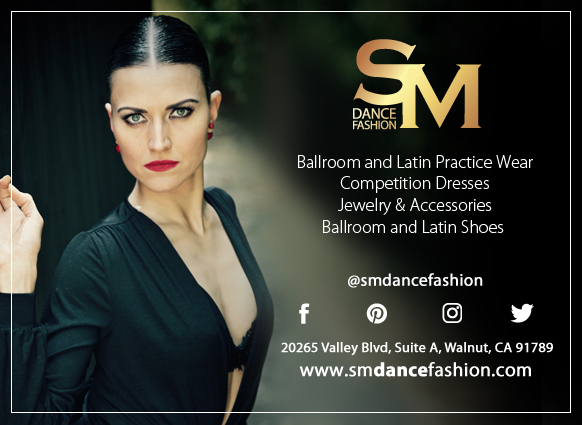 We once again get the privilege of getting to watch some amazing ballroom dancing FOR FREE while helping out a great couple at the same time. They are competing at the Autumn Dance Classic in San Francisco. As usual, the Star Dance Tour’s website will be live streaming the competition. Here is the web page: http://sdt.dancebeat.com/index.php/m-streaming. The final round of the Pro Open Smooth event starts about 10:20 pm PST. The show dances will happen right after the final round. After all of the show dances are done, the polls open for only 5 minutes (around 10:50 pm)! I know it’s a little late (way past my bedtime! ), but the show dances have been really incredible. They are worth staying up for! Watching on your computer or tablet or phone, all you have to do is refresh the page when the MC announces that it’s time to vote. A list of the couples’ names will appear below the streaming video and all you have to do is click their names: Kris Suakjian and Briana Haft. You can also look for their number: 114. If you have multiple devices, vote on all of them! Another way you can vote is via text! Text “dancebeat” to 22333. You’ll get a response back acknowledging that you’ve joined the session. Then when it’s time to vote, just text “114” to the same number. You will get a response back, something like “You chose 114 Kris and Briana.” And that’s it! As people vote, you’ll be able to refresh the live streaming page for updates on who’s winning the audience poll. So far, Kris and Briana have either tied or won the audience vote at every competition on this tour! Let’s keep this streak going! I’ll be on Facebook and Twitter posting updates and when it’s time to vote, so please say hi if you’re online! Please watch tomorrow, Friday, October 14, and VOTE for Kris Suakjian and Briana Haft!